I’m Into Punk, a photo by Chobopop on Flickr. 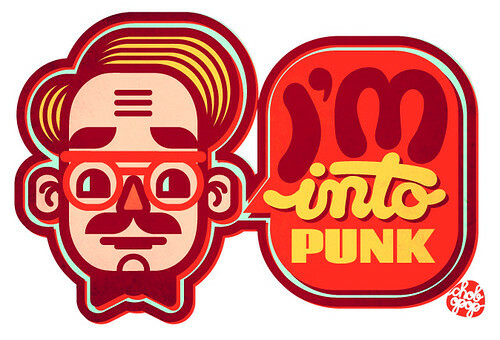 The incredibly talented Chopbop is one of my favorite designers/illustrators to follow on flickr. I don’t even know what to call the aesthetic behind it, but I’m fairly obsessed. Their “Faces and Genres” series is all around amazing, but I was especially taken with this little beauty that looks EXACTLY LIKE MY DAD! True to form of being consistently rad, Chopbop replied that this likely means my dad is pretty cool (as if Jeff needs anyone stroking his ego)! Faces & Genres is an ongoing series, so be sure to check out their work directly on flickr!